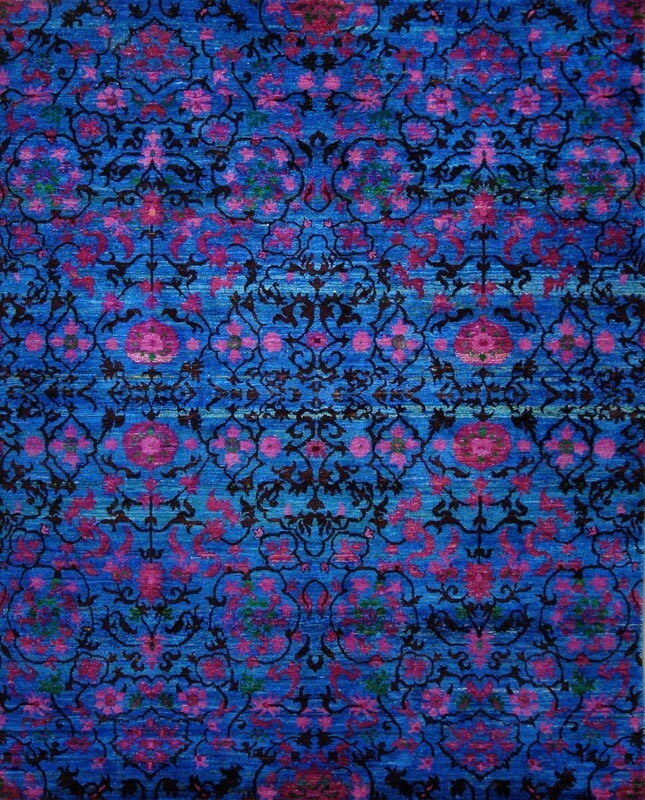 Exquisitely hand knotted using 100% iridescent Sari Silk in India, the M-2D design from the Amaluk Collection is luxurious and unique. This premium carpet showcases a light, ultra soft pile finish and average thickness. The masterful craftsmanship and vivid blue hues of this transitional piece add grandeur to the classically inspired, traditional floral motif. Vibrant pink accents add modern elegance to the updated Oriental rug pattern. This beautiful rug is a stunning, artistic piece for the contemporary home.